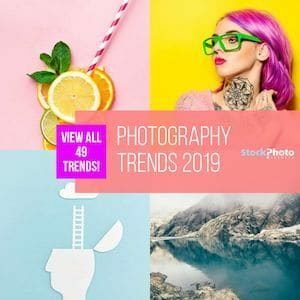 If you are a graphic designer or creative, or if you're just needing images to use in different projects, you must have come across the term “stock images” or “stock photos”. But what are stock images? How can you use them? Stock images are a great resource to get high quality and cheap photos that you can use in your designs for various purposes. They are perfect for marketing and advertising, for promotional work, for personal or commercial creative projects, for publishing, for websites and blogs, and more. Want to learn all you need to know about this useful imagery resource and how you can benefit from it? Keep reading! Stock photography is existing photos –already created– made available for license by paying a fee to both the artists that produced them and the agency managing them, acquiring the right to use them legally in different ways, while the author retains copyright of their work. Stock images (that includes stock photography, vectors and illustrations) has many perks for businesses and creatives, but the main, most immediate and most evident benefits are the time and money savings. Hiring a photographer or graphic designer to create a custom image for you is both expensive and time-consuming. Not only a professionals' honoraries can be high, but also the estimated times between the hiring and the delivering of the final images can be of weeks if not more. Getting the necessary equipment and skills to create images yourself presents the same problems. As you just learned, stock images are already created and ready to use. As soon as you pay for a license, you can download them and use them within the accepted terms. And some of them (Royalty Free images, which we'll soon explain) are very affordable, certainly much lower than that of commissioning a photographer or graphic artist. That's why they are such a great resource for anyone needing images for professional use. Their immediate availability and low cost solve both time and budget issues at once. You can use stock images for most commercial, editorial and personal purposes. Royalty Free license allows for a wide range of uses. Rights Managed images enable pretty much the same possible uses, but limits it to one use per license (Learn more about the types of stock photo licenses available here). Stock photo agencies let you use the images only as part of a greater design. You cannot display the image just as you downloaded it, but rather edit it and modify it, customizing it to your project. There's different allowed uses depending on the license. You can find all the acceptable uses of Royalty Free images here, and the allowed uses for Rights Managed images here. As final annotations, you must know that some agencies allow the use of stock images in social media, under some restrictions regarding size and audience size, but others forbid this use. Also, if you want to use the image in products you will then resale or redistribute (like t-shirts and other physical products or like digital web templates) you can do so with an Extended license (learn about this license below). All licenses come with certain restrictions in the way you can use the images. Learn the restrictions for Royalty Free images here. And find the forbidden uses for Rights Managed images here. It's always very important read the license agreement carefully and fully understand its terms before using a stock image, to ensure you're using it in an accepted and legal way. 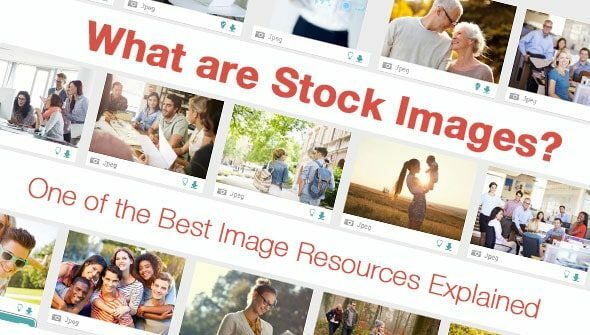 How Much Do Stock Images Cost? That depends on the type of license you're acquiring, and the agency you're buying from. But there are average prices. Rights Managed license is tailored for your specific usage needs, and its price varies depending on your intended use and the extension or limitation of rights you include, as well as the image size and resolution, falling anywhere between $50 and up to thousands of dollars. Royalty Free license is more flexible, and it's preset for all images. Plus it's a non-exclusive license that allows the same image to be licensed many times, and this contributes to reducing its price. Royalty Free images are very affordable. Some agencies price them according to the resolution too, but in general, their price is between $1 and $15 per image. However, many stock agencies offer stock photo subscriptions: periodic plans that give you a larger number of images per period in exchange for a flat recurrent fee. These plans reduce the cost of the images considerably, taking the single image price down to as little as $0.30 each! Want to start buying images? Try the 5 Cheapest Stock Photo Agencies! If you don't know which one to choose, we guide you in this video! 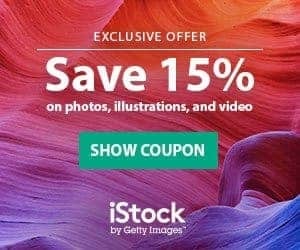 Are you interested in a stock photo subscription? Explore the 7 Cheapest Subscriptions of 2016! So now you know: stock images are very valuable, as they can be used in so many different ways. Most stock images are copyrighted: the photographer or designer who created them retains the ownership and intellectual property over the photo or illustration. For this reason, you cannot use the images without their express permission, and without paying them the due royalties or crediting them when required. It's very tempting to just download photos from Google or to surf the web looking for free images por public use. But the truth is, with the exception of Public Domain images and some (only some) Creative Commons images, most images in those websites are copyrighted too, and they do not verify that the right usage permissions are in order. To resume: you can infringe the author's copyright and get into legal trouble. Learn here why using free photos in your blog or website is such a bad idea. When authors upload their images to a stock imagery agency, they give their express permission for the agency to license them (paying them and cutting a commission fee). Plus, agencies always revise every image, making sure all the permits are correct and the image is safe to use. When you buy a stock image, you're only buying a license to use the image in certain allowed ways. You are NOT acquiring the ownership of the image. The author still owns it, you're just paying for the right to use it. Learn more about how copyright and licensing work here. There are different types of image licensing agreement, but the most common ones are Royalty Free and Rights Managed. Rights Managed is a license tailored for specific uses: it covers one use case only, and it's limitated by time, geographic location, audience size, reproduction/copy run, among other parameters. The main advantage of this license is that it lets you get greater usage rights for big commercial uses (like mainstream media or large marketing campaigns) and that may include exclusive usage rights – you may get the right to be the only person using a particular image, for the time your license is valid. Royalty Free is the most popular licensing model, as it's the most affordable and flexible. It's important to know that Royalty Free images are NOT FREE. You must still pay for the license. The name refers to the fact that it's a one-time-fee license model: once you've paid, you can use the image without ever requiring to pay further royalties. This license gives you multiple, non-exclusive usage rights for both commercial and editorial purposes, without time limitation. Once you pay for the license, the image is yours to use forever, in as many projects as you want and for as long as you want, always within the accepted terms. Some uses are not allowed with Standard Royalty Free license, but they are included in the Extended license version, which comes at a higher price. If you wonder what license is better for your particular needs, check our comprehensive comparative guide for Royalty Free and Rights Managed license types. A key note here is that every stock imagery agency sets up their own licensing terms within these two license types. They customize the license to their own criteria, therefore the rights and limitations may vary from one agency to the other. It's very important that you read the license agreement carefully before using an image, to make sure your use is allowed by their terms. For an image depicting people to be used with commercial intentions, it's required that the people who appear in the image sign a legal permit expressing their agreement to have their likeness displayed and used for commercial purposes. Such legal permit is called a “model release” document (find a list of model release apps here). The same goes for private property — estates, trademark logos or product design, etc –: in order to use an image including them commercially, you need the owner to sign a “property release” document stating they agree to have their property depicted and used in commercial endeavours. This is very important to ensure the legally safe use of the images. Stock imagery agencies police releases carefully, granting you that all the images available for commercial use have been checked for releases. When the releases are not in place or it's impossible to sort them, images depicting people are sold as Editorial use only. This means you can only use them to accompany or illustrate a newsworthy, entertainment or public interest topic, but not for profit. Learn more about Editorial Use license here. Most common editorial images are those of celebrities and renowned individuals, of world-wide newsworthy events, big crowds, etc. It's important to remember that Commercial images can be used for both commercial and editorial projects, but Editorial images can be used only for editorial purposes. Stock images are available in different sizes and resolutions, but what it's important to note is they are high quality. You can find them in anything from small Web resolution and up to large, high-resolution files. Whatever your project's requirements are, you're very much likely going to find a stock image that serves your needs. As you see, stock images are a great way to add visual appeal to your commercial, editorial and personal projects at very low cost. In a world that is every day more visual, boosting up the eye-catching power of your work is one of the main factors to succeed in your endeavours. So don't hesitate, start licensing compelling, high quality and cheap stock images for your projects today! I was searching for it and i found your article on this. Good work. This article can be helpful too.